Hey, our Digital publication just launched! Check it out here and let us know what you think. Our June cover story takes a look at how architects are invigorating Sacramento’s hidden spaces; downtown happy hour in the age of the Golden 1 Center; and Cheryl Beninga, cofounder of FourthWave, talks about women in tech. If you imagine a humming city as a living body, the conventional alleyway might be the large intestine. It’s a lonely grey loading zone, a collection point for garbage, and a covert space for drug use and violence. But as U.S. cities grow denser, urban passageways that were once ignored and crumbling are enjoying a renaissance. 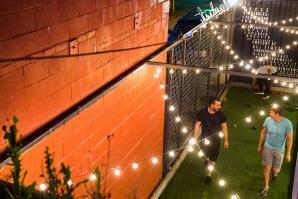 Alleyway activation is a designer buzzword for modernizing utilitarian corridors into well-lit public spaces. 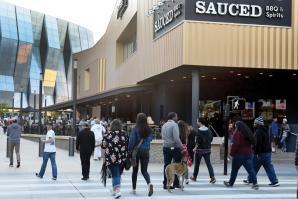 Two weeks after the Golden 1 Center opened last September, Pizza Rock stopped taking group reservations. The K Street restaurant that blends its food appeal with a nightlife scene had been dealing with empty tables and lines spilling out the door, as parties failed to arrive. FourthWave, a nonprofit accelerator program for women-led tech companies, expanded from its Los Angeles pilot to Sacramento in March and is already working with its first seven entrepreneurs. 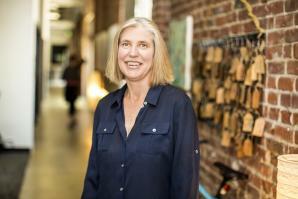 We sat down with Cheryl Beninga, who is the managing director of Beninga Advisors and who cofounded FourthWave Sacramento with Tracy Saville, CEO of Sofia Al., to talk about women in technology and the regional tech scene.